Newcastle United's St James' Park, the oldest football stadium in North East England, has just been given the latest LED treatment. 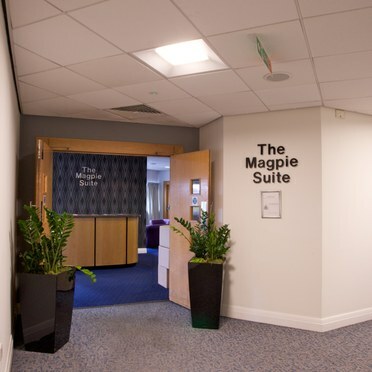 A mixture of 19 high efficiency downlights and spotlights using solid state LEDs now illuminate one of the executive boxes, while 151 lay-in Quattro LEDs cater for the main corridors on two upper floors. The new lighting schemes reduce the running cost in electricity by approximately 30 and 50 per cent respectively. 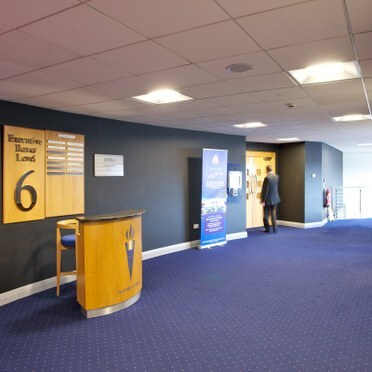 When Thorn's lighting team of Martin Thompson and Steve Gleghorn specified the executive box refurbishment scheme, they knew exactly what they wanted – an attractive appearance, high quality white light, together with occupant control and economical operation. As a result they chose a mix of 12 Base LED 1000 and D-CO LED downlights, two Tidon LED gimbals and four Prospector LED spotlights. The old installation consisted of CFL downlights and power hungry dichroics, so the LEDs dramatically reduced electrical loading, from 400W to 275W. Lighting maintenance at the club was a little like painting the Forth Bridge, and scarcely less annoying for the electricians. Large numbers of lamp replacements were required prior to every match. The average life of the LED downlights is 24 times that of tungsten halogen; or put another way 3,571 match days! Savings on maintenance costs should be easy to quantify. 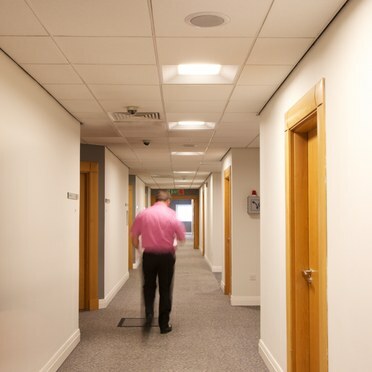 To solve the problem of providing everyone with as much or as little light as they needed, and to save on running costs, a straightforward SensaLink lighting control system was installed. Occupants are able to adjust the room lighting via a simple scene plate, with sensors for presence/absence operation reducing electricity use further, thus saving energy and money. 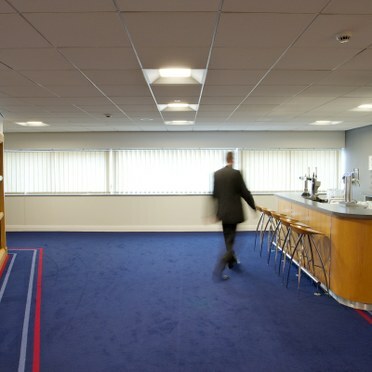 The football club also needed to improve the lighting along the fifth and sixth floor corridors, a much bigger task. 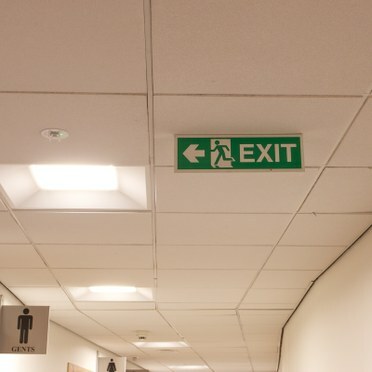 Here was a typical example of an area which could benefit from a broader light distribution than afforded by the 273, mainly twin lamped CFL and dichroic, downlights. The recessed Quattro LED luminaires provide a high level of soft, low brightness illumination and a completely differentiating visual effect. Furthermore, they significantly improve colour rendering (92 CRI v 80 CRI). The electrical load was virtually halved (14.1 to 7.4kW) from the previous installation - the estimated saving in future carbon taxation costs is around £4,000 per annum – and, again, the 50,000 hours light source life is expected to generate considerable savings in maintenance. 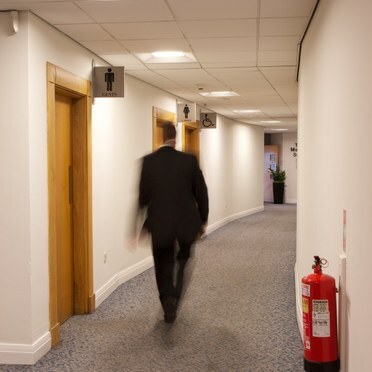 Should the power fail, the executive box and corridors could quickly become an obstacle course. To help occupants locate the most appropriate escape route 45 non-maintained Voyager LED Route and LED Area luminaires have been provided. Not only are the LED emergency lights more aesthetically pleasing than traditional fluorescent-based systems, but they consume less power and require smaller integral power supplies. All use single, high performance 2.7W LEDs and sophisticated optics to give better light control. The fittings can thus be spaced more widely with consequent savings in installation and running costs.